The OTC is the world’s largest offshore technology exhibition covering technological sessions in relation to offshore plants and equipment. As 50th year anniversary of OTC, more than 2,500 companies from all around the world join the conference every year. This convention is one of the places where we can share innovative off shore technology. 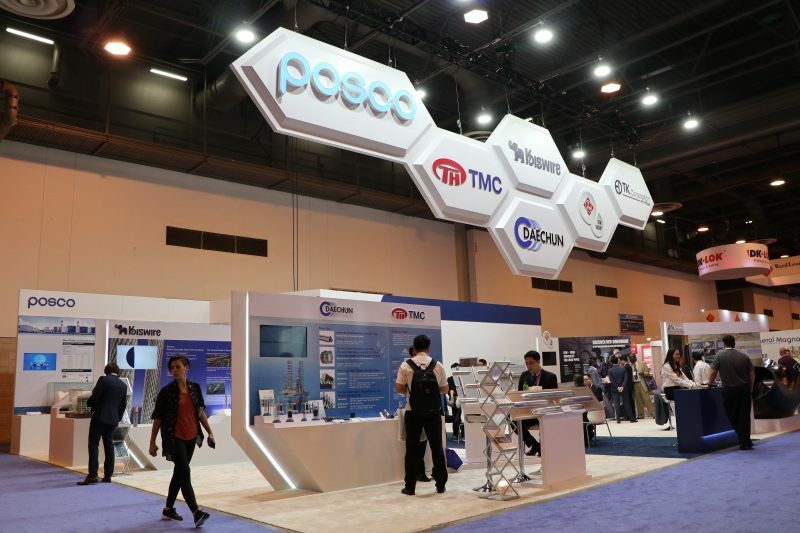 POSCO introduced its advanced solution marketing campaign ranging from energy steel products to end products at OTC held in Houston, Texas, on April 30th. The main purpose for the convention was maximizing promotion activity by POSCO’s unique solution program. Therefore, from the last year, POSCO set up the booth in the main hall (NRG Center) with the global major companies including Exxon, Siemens and GE. POSCO is the first domestic company that set the booth at NRG center. POSCO has got huge attentions from by participants by presenting various unique solutions ranging from materials and end products, including 9% Ni steel LNG storage tanks and LNG fueled ship equipped with storage tanks made of high-manganese steel, large diameter thick wall welded steel pipe that POSCO’s high-strength panels applied and the Fitting, the joint between the pipe, the world’s leading wire rope that is made of ultra-high-strength for offshore construction, membrane for fuel storage of LNG carrier and tubes for energy mining. In addition, POSCO and marine equipment manufacturers held a technical meeting with EPC (Engineering, Procurement and Construction) companies to discuss and encourage new projects. POSCO also engaged in consultations with a range of companies, including potential clients located near Houston in order to penetrate a new market for World Premium steel products. POSCO has been participated the OTC every year since 2008 and established strong network with major oil companies and global ETC companies and promote POSCO’s finest high manganese steel.